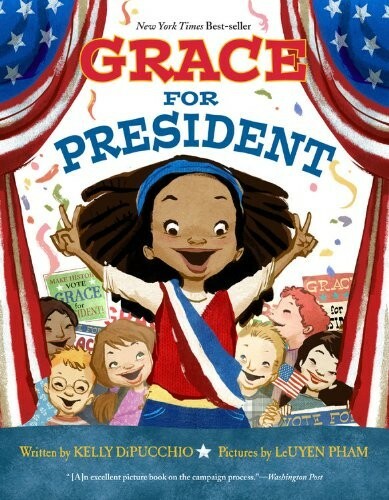 When Grace's teacher reveals that the United States has never had a female president, Grace decides to be the first. And she immediately starts off her political career as a candidate in the school's mock election. But soon, she realizes that she has entered a tough race. Her popular opponent claims to be the "best man for the job" -- and seems to have captured all the male votes -- while Grace concentrates on being the best person. 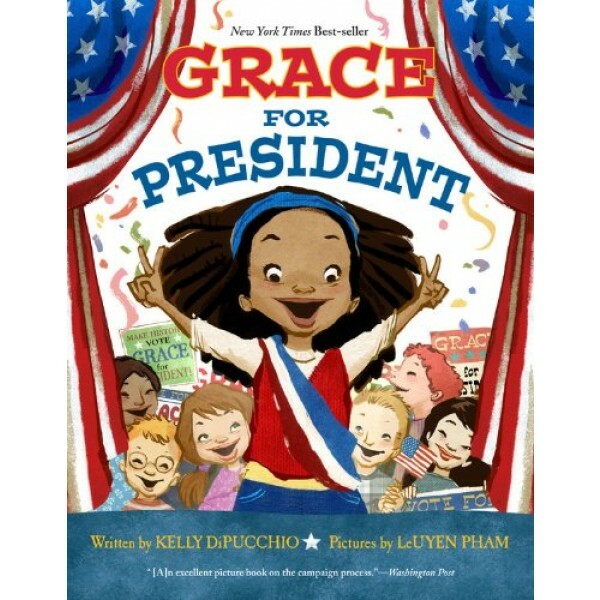 In this timely story, author Kelly DiPucchio not only gives readers a fun introduction to the American electoral system, but also teaches them the value of hard work, courage, and independent thought -- and offers an inspiring example of how to choose our leaders. Kelly DiPucchio is the award-winning author of several children's books, including New York Times bestseller, Grace for President, and The Sandwich Swap, a book co-authored for Her Majesty Queen Rania Al Abdullah of Jordan, which President Bill Clinton called "a delightful story." Kelly has been a featured author/speaker at numerous schools, public libraries, universities, and conferences such as: the International Reading Association, Michigan Reading Association, and the National Council of Teachers of English.